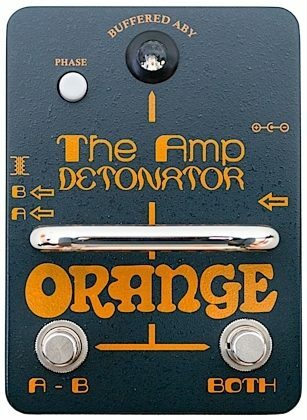 Featuring two buffered outputs, one with a custom designed isolating transformer, Orange is pretty confident that the Amp Detonator is the smallest active, fully functional, buffered ABY pedal on the market. What's more, it's the only active ABY switcher that can be powered by a 9V battery. The transformer output has been meticulously engineered to be as transparent as possible, whilst both outputs are buffered with a low noise, linear circuit. 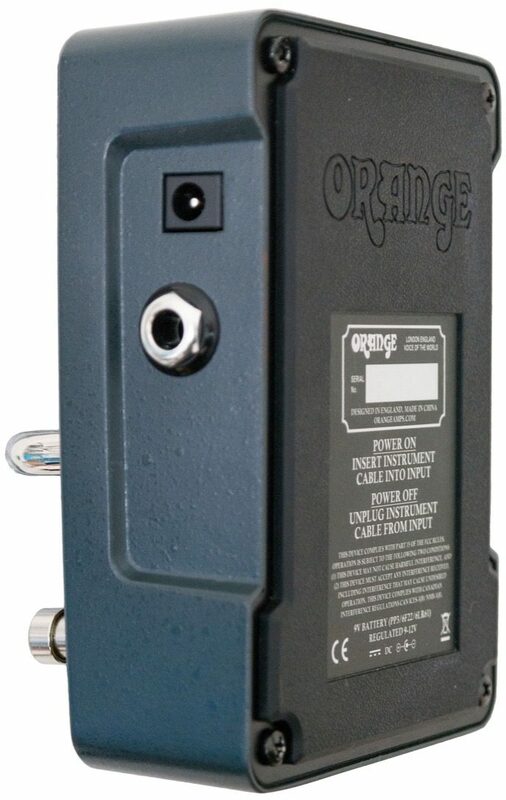 Drive any length of cable to your amps with no loss of clarity and switch silently between them. No more unnerving "thumps" for you or the sound guy! 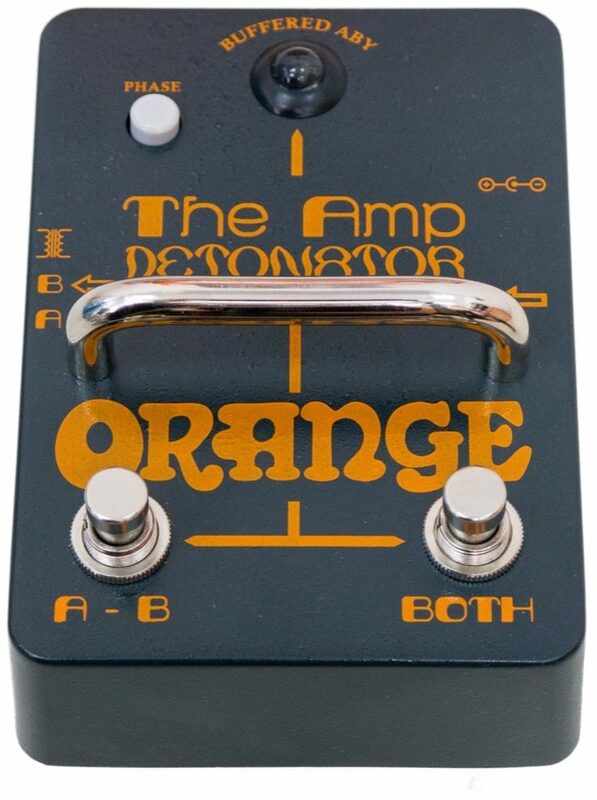 The Amp Detonator also has a push-button polarity switch to correct common phase issues between amplifiers, keeping the tone fat and full. Finally, the tri-color LED is a handy feature, especially on dark stages, indicating your current switching setting at a glance. 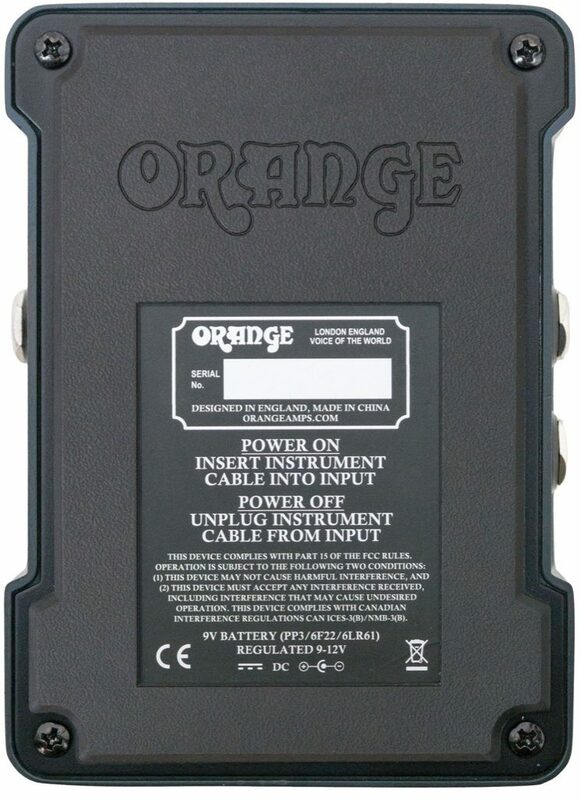 The only active ABY switcher that can be powered by battery as well as a 9 or 12V DC adapter. 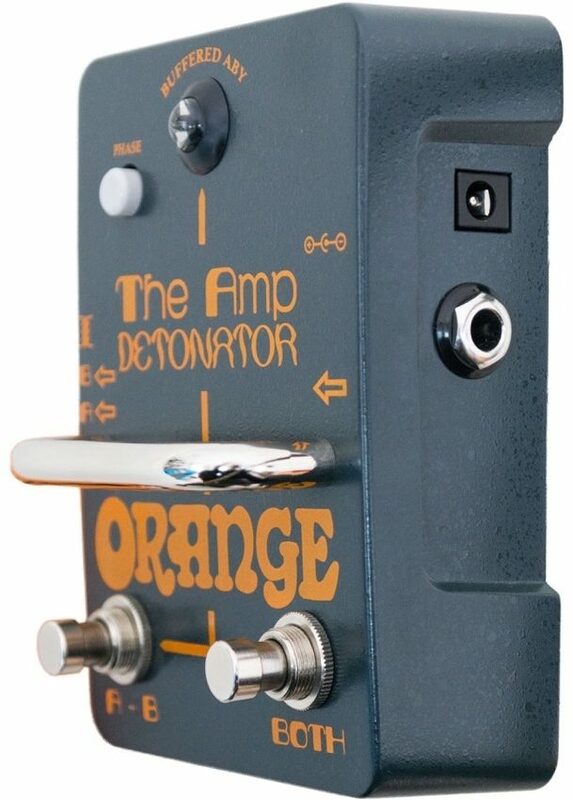 It also features an internal charge pump circuit which doubles the voltage internally to 18V, increasing the internal headroom for incredibly low harmonic distortion. 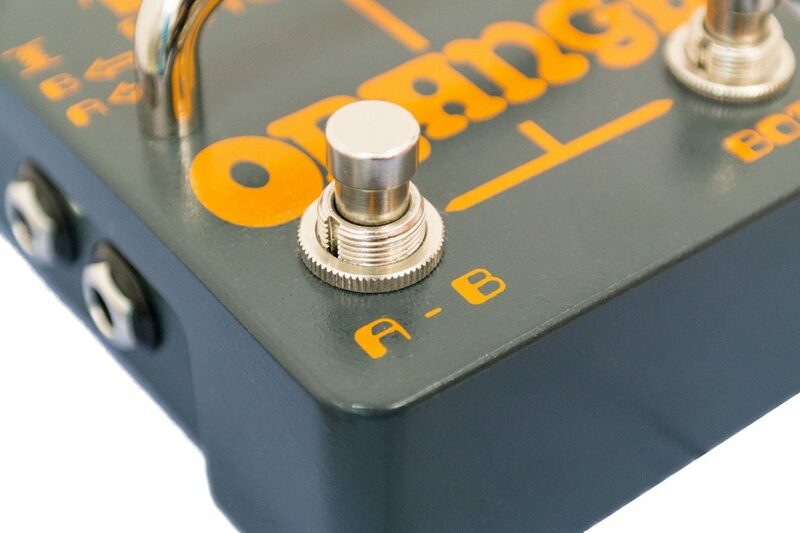 Need a professional ABY switcher but pedalboard space is at a premium? Other small amp switchers exist but none offer the quality or the functions of the Amp Detonator: silent operation, isolated outputs, phase switch, individual footswitches for A/B or BOTH and an oversized 10mm tri-color LED - green for A, red for B and blue for BOTH.